What is Strawberry festival and Pine Rivers? Do they usually get good line-ups? 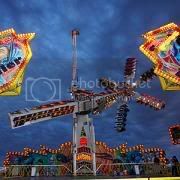 Pine Rivers show is at Lawnton and is a week or 2 before EKKA. It normally has a decent lineup with Chant's taking most of their gear along with Flarhertys Shockwave.